Just before Elanor was born we decided to switch Sarah’s room and Stephen’s office. 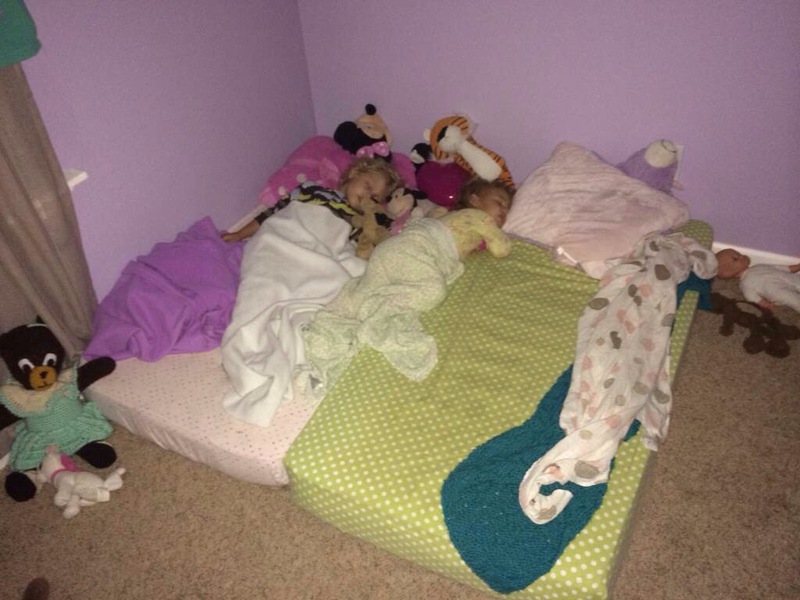 2 cribs and 2 kids, it made sense to move them into the bigger room. 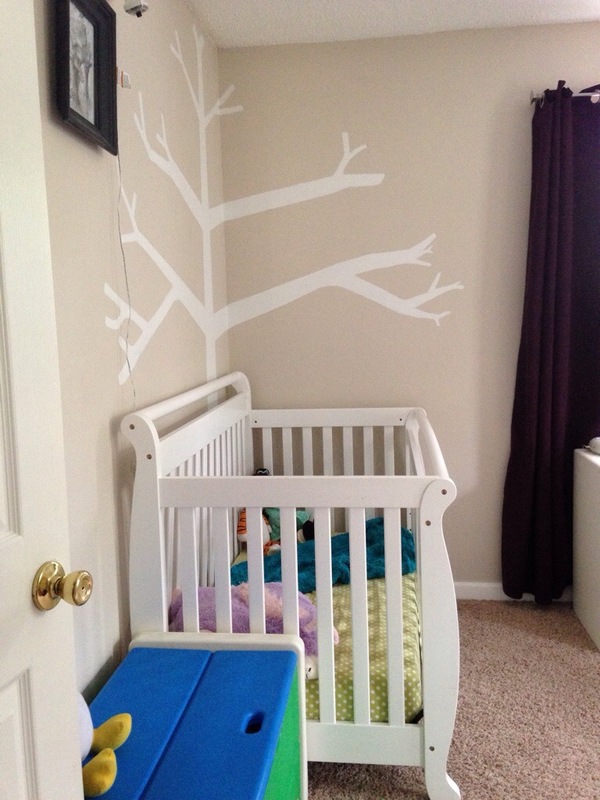 My sister helped me paint a simple tree on the wall, changing up the plain walls just a bit for a more kid room feel. 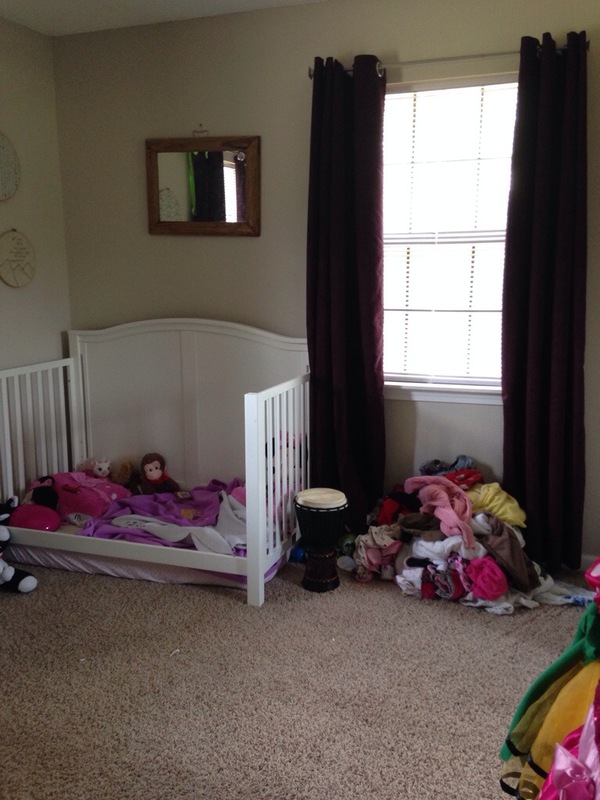 Well, it turns out kids don’t spend much time in their room in the first few years. It’s just more space to make a mess and throw all the clothes out of the dresser drawers. When Stephen changed jobs last month, oh ya by the way, Stephen changed jobs last month, we decided to do yet another switch-a-roo. It was a great decision because he will be working from the home office when he needs to do computer work and phone calls. One recent a Thursday I dropped the girls off at a friends and spent the afternoon making the swap. 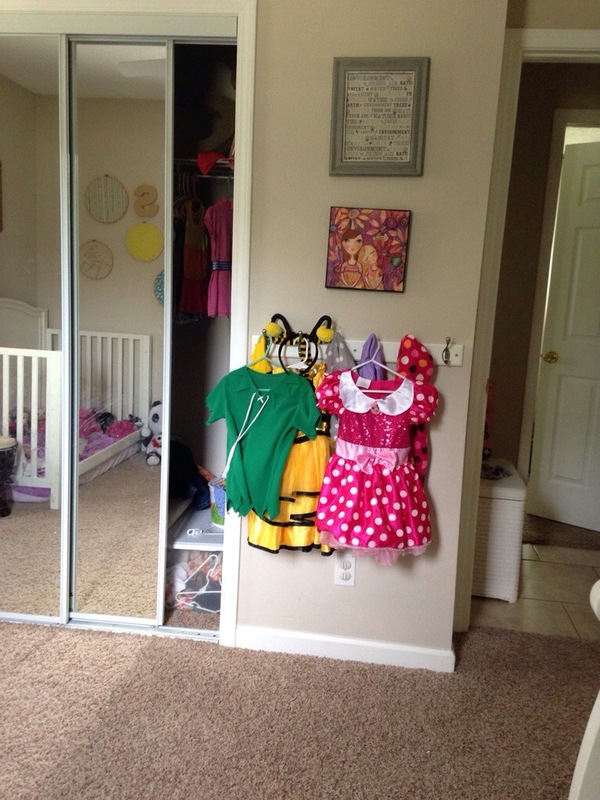 Well, I guess before I show you a photo or two of the girls new room setup, I could share some pictures of the room they’ve shared the past year and a half. This was their room before all the crazy (read: messy) switching around. Now there’s plenty of storage for Stephens work equipment and a lot less children-having-fun noise from the other side of the house. Then Sarah pushed Elanor’s mattress over so they could sleep together, which is super sweet, so I obliged. The rest of the room is empty except for a stack of books I need to get rid of and their white dresser in a corner. It’s nice how much I was able to get rid of while making this transition. Bye bye massive pile of girl clothes 12 months and below. I have more than 1 car load worth of stuff to donate, and it sure feels good to clean out unneeded clutter. I sure enjoy a good cleanup. I am so confused by the picture of the giant, blow-up slide..
Huh… I have no idea what slide you’re talking about. I too am confused, but by something different… So you moved them from the ORIGINAL room, to the old office (the bigger room)… But now you moved them BACK to the original room, and gave the bigger room BACK to Stephen as an office? Is that sequence correct? What did you do with the beds? Are they stashed somewhere? 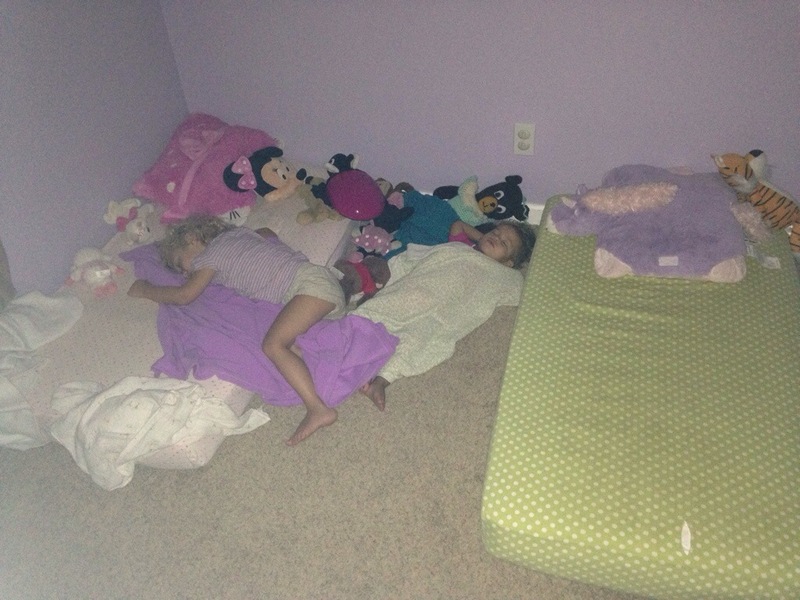 Are the kiddos now sleeping on the floor (not that there’s anything wrong with that, just trying to get a clear mental image of the scenario, yo). I gave the cribs to a family at church.